The full remodel of the Saxon Shoes flagship wasn’t necessarily planned, but it turned out to be a case of perfect timing. 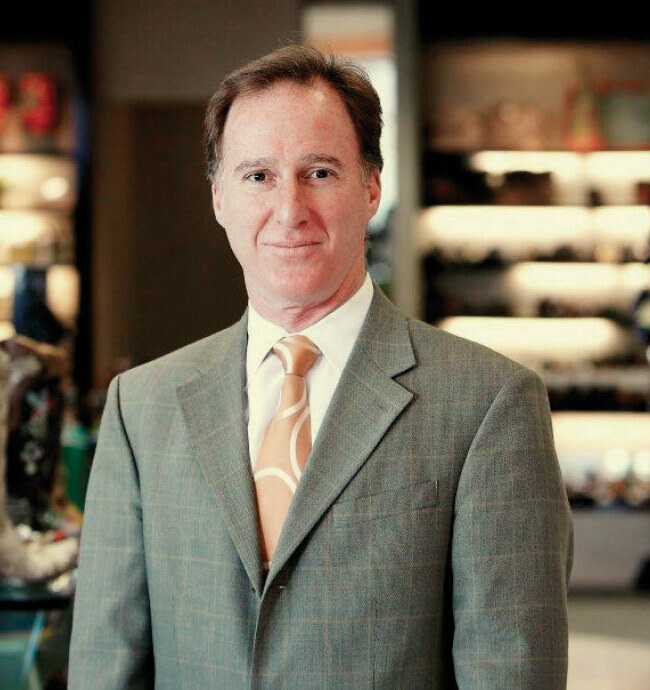 Gary Weiner, longtime president of the two-store Saxon Shoes chain in Richmond, VA, knew his flagship could use a jolt. The 26,000-square-foot family shoe mecca, located in the area’s A-list mall, the Short Pump Town Center, was feeling the effects of the Retail Apocalypse just like everyone else. Saxon’s sales weren’t tanking, but they had been flat the past year—and for the 65-year-old business, that was as bad as being off. But a full gut job would be pricey. And who knew if such a big investment would pay off. Thoughts of a full remodel were on the back burner when mall management approached Weiner last year with an unexpected offer to acquire 4,600 square feet of Saxon’s space for a big new tenant. Turns out, it was an offer Weiner couldn’t refuse—even though he did just that at first. Weiner is a believer in the power of reinvention, particularly at a time when epic disruption is tearing through all retail tiers. “To continue moving forward in this crazy world, you have to make yourself new again from time to time,” he says. “Customers love it. Employees love it. The community kind of rallies around the new and improved. 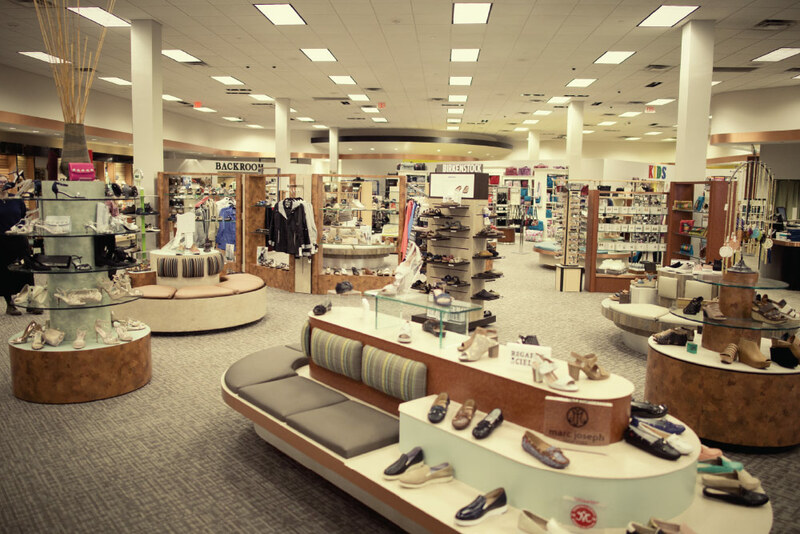 By replacing tile with carpet, they gained about 1,500 square feet of floor space for display. Even better, they were able to remodel in stages, which enabled them to stay open for business throughout the process during February. One change Weiner does not foresee is leaving his Short Town Pump Center location, despite the fact that it’s in (gasp) a mall. “If you’re in a B or C mall, then you’re probably in a lot of trouble, but fortunately we’re in one of the top malls in the country, and we have a premium location next to the Cheesecake Factory and Urban Outfitters,” he says. Saxon Shoes President Gary Weiner sounds off on how the retail game is changing. You’ve been in retail your whole career, as were your parents. Is what’s been going on of late unlike any other period of disruption? Our focus now is different than in the past. Back then, it was do business, do business, etc. Now it’s strictly bottom line. My top focus is always product—that leads everything, but after that initial vision, it goes straight to margin, because the difference between a 45 point initial mark-up and a 65 one is light years. There are some large vendors that will get you into the mid and upper 50s from time to time, but to really move the needle, you’ve got to find those diamonds in the rough that are somewhat undiscovered where you are giving someone a value and you are making a strong margin. Like with first-cost goods. You can make better margins but, at the same time, you’re having the exposure. There are gives and takes, but after product, it’s all about margin. That’s just the ways the world is working right now. It used to be just about volume. Volume is still great, because it can hide a lot of things and generate cash flow. But sooner or later volume that is not extremely productive will come back to bite you. In this today’s world, you’re working with just a few metrics: volume, margin, overhead and inventory. If you are hitting on three of them, you’re doing OK. If you’ve got all four, you’re getting into the position to start printing cash. Not everybody is able to hit on those four metrics. But it’s the only option up against online dealers and vendors increasingly selling direct to consumer (DTC). Speaking of DTC, what’s your thoughts on that channel? We love the vendors that we work with. But many of them are making it very hard. When a consumer can go onto a brand’s website and get 20 percent off their first purchase just by signing up for their email list—and it’s for the same item we carry but we can’t offer the same discount—that hurts. Let’s say they are buying a $350 boot, well that’s a $70 discount! We can’t compete with that, plus our focus is not making money on trying to sell $30 to $50 shoes. You can see why we are being forced to look at other brands. I have one brand that emails me three or four times a month with something on sale on their site. Do you think I’m really excited about selling that brand? I’m putting more money into one of their competitors, who is also selling DTC, but they aren’t making that their focus. But it doesn’t annoy me as much as all it says is there’s another brand for me. It’s business. Brands have to drive traffic the same way that I have to. If I have a bad month and I need to be on sale at the expense of a brand, then I’ve got to do what I’ve got to do and they aren’t going to like it. It’s more a question of how brands go about DTC. For instance, it’s better if a brand sends us a note a month before any promotion and we have a chance to participate. But with a lot of brands, you get the email that the item is 20 percent off without any warning. What?! Doesn’t sound like much of a partnership. It isn’t. But there are a lot of vendors who work very closely with independents like us to make sure that our needs are taken care of. They work with us when business is great and even more so when business is not great. They are rooting for a business like us to stick around and even grow because they need these outlets to maintain their integrity—to have their name positioned with better retailers. It’s important that I acknowledge them. What about private label as a way to combat DTC? That’s not easy. I’m doing more first-cost instead because I can move on a dime. It allows me to buy similar or the same product, but instead of working on 52 points, I’m working on 65 to 68 points. The risk is we are putting out cash as opposed to a net 30 or 90 days. But anything I’m doing first-cost, I’m pretty sure it’s going to sell. I’m not experimenting. Eighty-five percent of that buy: We know that look has already performed in our stores. So instead of buying it for $80 and selling it for $170, we’ll buy it for $50 and sell it for $160. We never knock anything up; we only knock it off or down. You need to have a real feel for your customer and for history, and you need to have a vision in your gut. Despite all the challenges, are you a firm believer in the future of brick-and-mortar shoe retailing? As a whole, brick and mortar is not the best place in the world to be right now. But I also believe that if you’re top of the class, very good at what you do and positioned in a good location, then you can succeed. Going forward, I think that there will be less brick-and-mortar stores servicing the same amount of people. So there’s a really good chance that if you keep ahead of the game and stay current, then you can get a much bigger piece of a smaller pie. That’s the optimist’s view. A pessimist says Amazon gobbles up the whole $80 billion pie. That’s one way to look at it. If you’re an investor, how do you not buy Amazon? What’s going to stop them? With their hundreds of billions of dollars, it’s impossible to figure out a way how that train slows up. Do they put all the other internet players out of business? Do they continue to back into brick and mortar, which is what they are doing with Wholefoods? Is business more challenging today than battling big box stores? Hell, yeah. Technology didn’t really level the playing field as much as it just put everybody on the same field at the same time. In the late ’80s, if you wanted to go look at three or four shoes stores, you had to spend a few hours to do that. Now, you can look at 30 shoe stores in 30 minutes. What’s the toughest challenge facing your business right now? Trying to decide the next move as much as managing the current ones. Finding decisions to those questions is probably not as hard as getting all the information on the table. While I’m better than I used to be, it’s more involved today. Some of the work comes a bit easier but much of it is mind-bending. You have to meet with younger and older people, finance people, marketing people, product people, and you have to really soak it all in. You’ve got to read the trades and watch the fashion shows. Do all that and you’ve put yourself into a position to make smart decisions. But it’s still extremely challenging, no matter what you know. When you are battling companies that have hundreds of billions of dollars, what do you expect? That’s why when people ask me how’s business, my answer typically is, “Well, we turned the lights on today.” That’s ahead of plenty of other businesses, for sure.